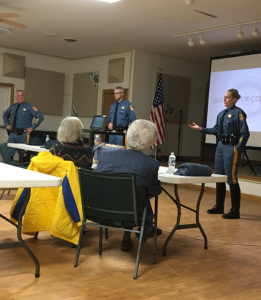 The Delaware State Police Troop 7 Administration held a community meeting on Thursday, February 7, 2019 at the Lewes Senior Center, located at 32083 Janice Road, Lewes, led by Captain Darren Short. 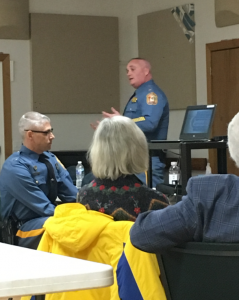 Troopers were privileged to have hosted a meeting where the public was provided with an overview of the great work done by the men and women of DSP Troop 7 in 2018. 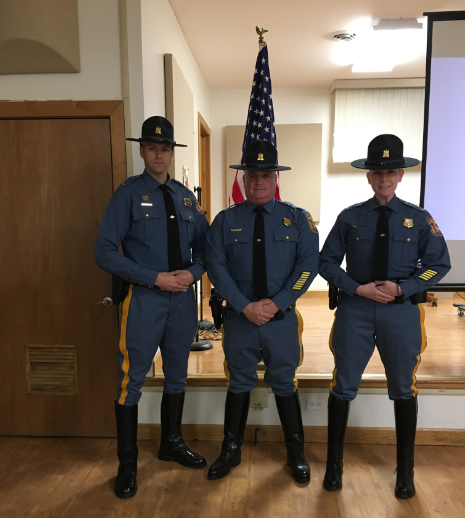 Achieving a 43.8% reduction in burglaries, a clearance rate of 43.2% in thefts and 61.3% in shopliftings, and a decrease of 7.6% in total crashes simply exemplifies the exceptional work the Troopers are doing. 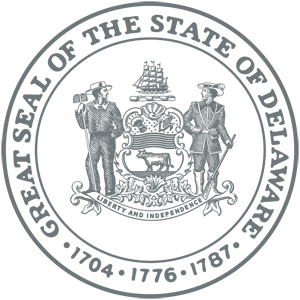 Moreover, when you examine many of our clearance rates of crime we demonstrate a deep desire to solve our crime. 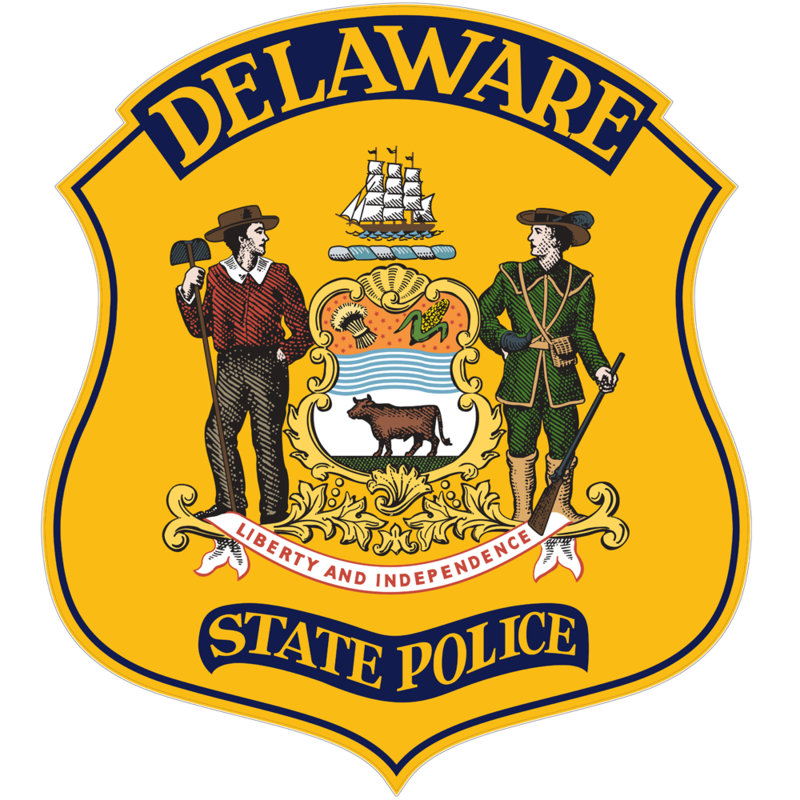 With a robbery clearance rate of 50% and an aggravated assault clearance rate of 66.2% clearly shows the dedication of our Troopers to solve crime when it occurs. 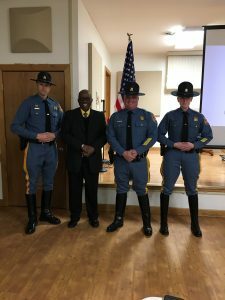 These pro-active efforts not only provide the community with a better understanding of the Delaware State Police, it also enhances Troopers awareness of the various cultures that exist within the communities they serve. 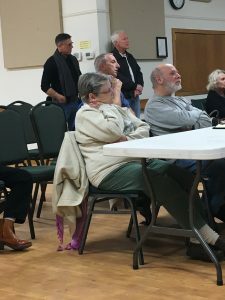 In 2019, Troop 7 will have a multifaceted approach to crime reduction and traffic safety. 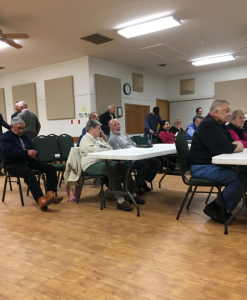 Deployment strategies will focus on crash causing offenses and proactive criminal enforcement of the core crimes affecting the Troop 7 patrol territory based on the stratified policing model. 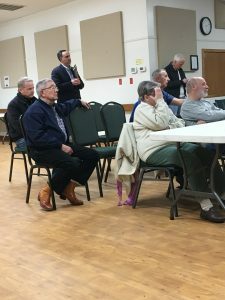 We truly appreciate and thank all those in attendance, including Senator Ernie Lopez, Representative Steve Smyk, and Troop 7’s Honorary Commander Mr. Diaz Bonville for joining us to learn more about DSP T7 and the projected goals for 2019.